The easiest way to understand Control System is by looking how our brain controls the actions of our body. In the same way, actions of a machine can be controlled. Building a system to control parts of machines involves understanding the working environment of it and also the best possible outcome of its actions. 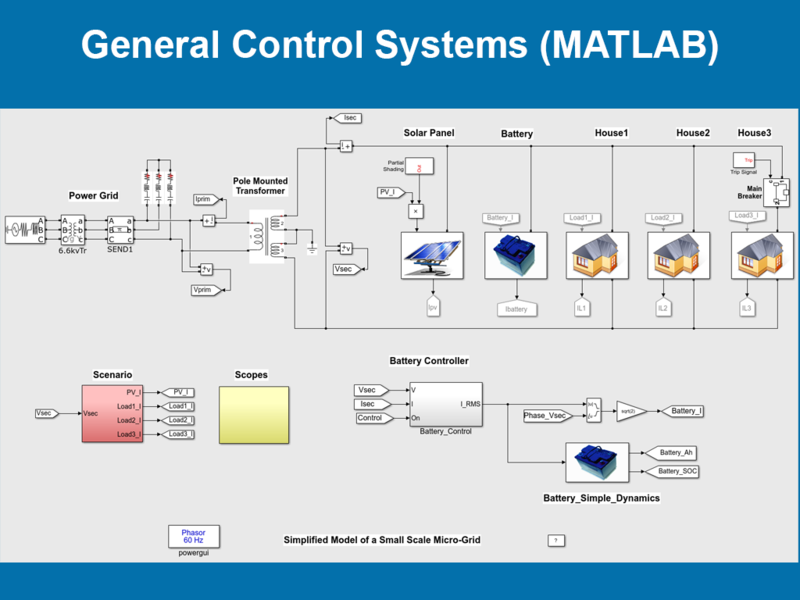 MATLAB is one of the best tools available to simulate and test the results of your control systems. It gives you easy access to many functions and operations which can be performed on variables. Also it gives us a platform to simulate and graphically interpret the results. Any system where there is a harmonious connection between each part, control system is involved. Big Industrial Machines, Home and Kitchen Appliances, Aircraft, Cars, etc all have a control system which keeps everything in correct order. You can Imagine the extent to which it’s applicable. In the training session students will get to understand the basics of Control System Design. They would learn how to use MATLAB Platform to design simple and complex controller for various systems. Case studies would be discussed giving them examples of complex problems industries have faced and how they used the available software tool to solve it.